As a cause of long-term chronic pain, musculoskeletal pains are a problem for many people; over 10,000 trips to the GP in the UK each year are attributed to musculoskeletal pains. 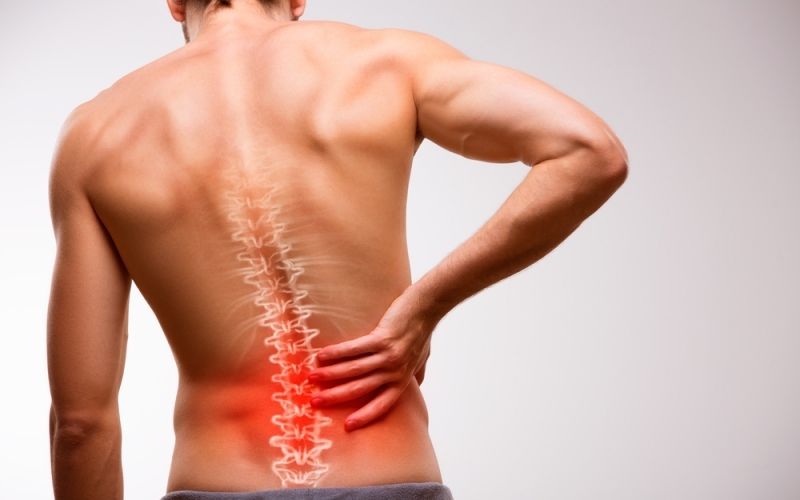 Back pain, osteoporosis, and osteoarthritis are the top causes of such pain. Even without a full cure, the pain can still be managed with exercise and medication. But have you considered looking at your diet? The body’s pain relievers derive from proteins — Amino acids make their way into the bloodstream through the intestine (where what you eat is absorbed). They then act as building blocks for compounds that help with pain relief. Muscle–cartilage needs protein to grow — Amino acids are needed to build muscle which can go on to protect your bones and build strength. The activation of glucagon — Glucagon increases blood glucose levels and blocks glucose storage as fat. This can prevent a rise in insulin levels, carbohydrate cravings, and pain flares. Decreasing inflammation — Protein containing foods such as fish and green vegetables contain anti-inflammatory properties, lowering experiences of pain. So, are you looking to add more protein to your diet? Add foods such as beef, fish, and eggs to your plate to up your protein intake. For vegan diets, make sure you’re eating enough pulses (lentil, beans, and soya products). There are protein supplements out there too in the form of drinks and snack bars. Reduce musculoskeletal pains by keeping an eye on your carb and calorie intake. Consuming excess calories by eating unhealthy foods, or overeating, can cause weight gain. This can then lead to excess weight carried around the waist and obesity — both of which can make musculoskeletal pain worse. This is due to extra pressure on joints and inflammation. What exactly is inflammation in terms of joints? In general, it’s part of the body’s immune response to fight infection. But, there are cases when inflammation doesn’t shut down — this becomes chronic inflammation. It is this which is the underlying cause of many diseases, health problems, and pain. You will also want to be aware of refined carbohydrates, trans fats, and saturated fats, as these can all cause inflammation too. Monitoring calories and eating the appropriate amount can therefore lead to weight maintenance or weight reduction which could help musculoskeletal issues. In fact, one study found that weight reduction of more than 10% has the potential to lead to important changes in pain and function. Our health relies on a good source of omega-3 fatty acids. Unfortunately, they’re not made by the body, so we need to get them from our diet. Studies show the benefits of omega-3 on musculoskeletal pain and joint issues like Rheumatoid Arthritis. Again, this is an anti-inflammatory which deals with the issues mentioned earlier. What should you be eating to get more omega-3? Omega-3 can be found in oily fish (such as salmon and tuna), calamari, olive oil, and some plants and nuts. A mixture of these things should ensure that you’re getting enough of the fatty acid. Our diets need a variety of vitamins. But some musculoskeletal conditions are a result of vitamin deficiencies, and certain vitamins can keep pain at bay. Vitamin D is a crucial part of anyone’s diet, as it supports calcium absorption and in turn, healthy bone growth. Eggs are a great source of vitamin D and are easy to incorporate into your diet. Another way to up your intake is with safe levels of sun exposure. Vitamin K is also a key component of your diet, as it helps with cartilage metabolism and cell survival. Get your intake of vitamin K through green leafy vegetables such as lettuce, spinach and beans. Finally, we’re looking at vitamin B. One benefit of this vitamin is that it keeps amino acid homocysteine under control. High levels of this could be linked to lower bone density and therefore musculoskeletal issues. Increase your intake of vitamin B through chicken, turkey, fish, oats, and more. These are just a few ways you can adapt your diet to help fight musculoskeletal pain. Always speak to your GP and nutritionist before changing your diet and for more advice on how the foods you eat can ease chronic pains.